Wind Power Nepal is a company that works with local communities to generate electricity from wind. It also provides consulting, advisory, project development and management services. 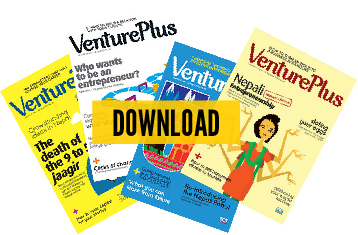 How did you decide to start Wind Power Nepal? Gurung: I had been working in the renewable energy sector in the UK when I came back looking to make use of my expertise in the renewable energy sector in Nepal. I saw that I could start a company that could use wind to generate electricity, and provide some relief from the never-ending problem of load-shedding. What challenges did you face during the early days of the company? Gurung: After surveying the market, I found that the renewable energy sector in the country did not have data on where the resources were and in what amount. But even then I came up with the idea of Wind Power Nepal. The Nepal Electricity Authority doesn’t have any policy on wind power. The World Bank did provide NEA with a loan two years ago to work on this, but nothing has been done till now. This was another reason for me to start Wind Power Nepal. It is often said that the government has a monopoly over electricity in the country. How did you overcome this problem? Gurung: Despite the government’s monopoly, Wind Power Nepal got a huge assistance from the government only after it was setup — we did not get any support during the initial phase. The government gives subsidies to projects that are community based. So we got each community that we work with to agree to use the wind power system. Then we approached the government to get its consent and a better subsidy. We are working to complement the government’s energy-producing role rather than replace it. This is why we have signed a Power Purchase Agreement with the NEA. How has the government supported Wind Power Nepal? Gurung: The government provides a 50 percent subsidy for end users of wind energy. We maintain a cordial relation with the government through AEPC (Alternative Energy Promotion Centre). What are your plans to reach out to consumers? Gurung: We plan to launch wind-powered systems in areas such as Mustang and Karnali. We provide the technology to install small windmills on rooftops in windy areas. What is it like to work in the renewable energy sector? Gurung: Among the various sectors I am involved in – poultry, clothing and renewable energy, the renewable energy sector has been the most challenging for me. The business is full of risks and has the lowest return. 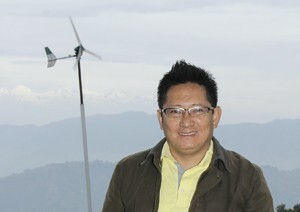 But I believe that we will be able to spread wind power technology throughout Nepal in the future. This year’s Yantra 3.0 got a warm response from the audience. 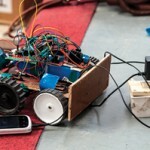 The week-long program which started on November 8, included an Art and Tech Exhibition that showcased eight exhibits created by artists in collaboration with engineers. Tom Igoe, co-founder of Arduino. 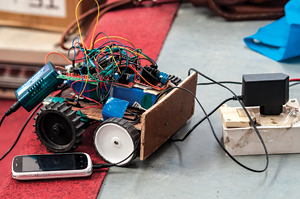 National Robotics Competition which saw 63 robots and 256 participants from different parts of the country.